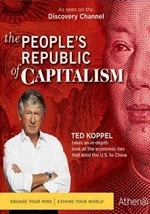 In this in-depth four-part documentary, Ted Koppel examines China's new status as an economic superpower and its complex relationship with the United States. He focuses on Chongqing-a city in Sichuan Province with a burgeoning population and big plans for the future. While peasants in outlying areas eke out a meager living, the rising middle class revels in new riches, challenging traditional ideas about religion, sexuality, and consumerism. All this reverberates here in America, where companies scramble for cheap labor, workers find jobs shipped overseas, and shoppers snap up Chinese-made goods at big box retailers. 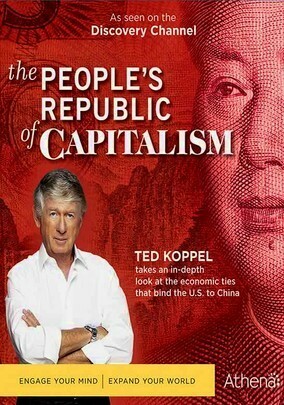 A year in the making, The People's Republic of Capitalism shows China's extraordinary changes through the eyes of its industrialists, assembly line workers, coal miners, taxi drivers, and farmers. Along the way, it provides surprising perspectives on a country fast becoming America's greatest economic rival and biggest business partner. An inductee in the Broadcasting Hall of Fame, Ted Koppel has earned 37 Emmys, six Peabodys, and numerous other awards in his decades of broadcast reporting. He served as anchor and managing editor of ABC's Nightline, network television's first late-night news program, for 25 years.